Viv complains bitterly about the state of her mattress before taking a short trip out of town. 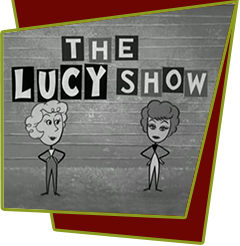 While she is away, Lucy plans to treat her to a newly decorated room and vibrating bed. Before surprising Viv with the new vibrating electric mattress, she gives it a "test drive" when it arrives. Its vibrating feature goes berserk sending the bed careening all around the room. Since the bed doesn't work properly Lucy decides to return it. When Viv comes home unexpectedly, without a bed, she now has no place to sleep. Viv and Lucy end up sleeping in their sons' bunk beds. With Viv's claustrophobia and Lucy not being able to get into the top bunk, this leads to Lucy's classic misadventure with a pair of stilts. Special Notes: On the day of filming (18 November 1962), Desi Arnaz resigned as president of Desilu Productions and resigned as Executive Producer.